Last October, an antique barn frame loom came into our possession at the Bates Mill. These large, historic looms got their name from the mortise and tenon joints used in their construction - one of the same types of joinery used in post and beam barn framing. From what our research turns up, it seems as though many of these looms were built some time between the late 1700's and early 1900's. Because of their size, these looms were too large to be used indoors and were often set up in barns. This point gives us another possible reason behind their name. Every part of a barn frame loom was constructed by hand, making each loom completely unique. Pegs and beams are hand carved, so every joint has an individualized fit, and the string heddles on the harnesses were hand knotted out of a strong cotton twine. It's very impressive. A barn frame loom fully set up (above). This beautiful loom is a result of Boothbay Railway Village's Barn Frame Loom Restoration Project. The first step in the slightly daunting task of reconstruction was to do some research and to go through the parts pile (because of course, there are no assembly instructions included!). Most everything looks in good shape, however, we do have a few things to clean up and possibly replace before getting started. The most important piece that we're missing is the cloth beam. This part helps lock the frame into place and is what the finished cloth rolls onto during the weaving process. We have several leads for obtaining this long-lost part, but we're not sure how it will play out just yet. Of course, there is plenty that can be done to work toward our goal while figuring out the best route to take with the cloth beam. One fairly monotonous task will be remaking some of the heddles, which we plan to do in the traditional fashion. To get into a little loom anatomy, the heddles serve to separate warp threads as the harnesses (or shafts) go up and down. This up and down motion creates the shed, which is what the weft yarn must pass through during the weaving process. Each warp thread is threaded through one heddle eye. All of the heddles are located on the harness frames, as shown in the photo below. Stay tuned for Part II of our "Barn Frame Loom Reconstruction Adventure" blog series, which will include our process of making the heddle jig as well as the heddles themselves! The string heddles on our loom harnesses. We'd like to recognize and thank the Marshfield School of Weaving, which has been an incredible resource for us as we've been getting our bearings. Pictured above is a book written by Kate Smith of Marshfield on warping and dressing barn frame looms, which should come in handy! We'd also like to thank Boothbay Railway Village for taking the time to meet with our designer last fall and allowing her to take photos of their barn frame loom all set up - the pictures will be a great reference of what-goes-where. If these historical looms and their use in New England is something that interests you, please follow our summer/fall blog series documenting the adventure of reconstructing and setting up our loom - if you haven't already guessed, we're kicking the blog series off with this post! Additionally, here's another similar blog post series from 2016 on the subject, which we found very inspiring. Tucked away in the hills of rural Maine is a 5,000 acre campus and working farm that offers a public venue for recreation, education, business, special occasion celebrations and more. If you live in Maine, you may have seen their cheeses and natural meats at your local grocery store (we highly recommend the smoked cheddar), but Pineland Farms has so much more to offer than delicious cheeses and meats (as if we could ask for more than that!). Perhaps one of the most alluring aspects of the Pineland Farms campus is its' 30 kilometer trail system. The trails are open to visitors year-round for hiking, biking, snowshoeing and cross-country skiing with equipment rentals available at their Outdoor Center. In addition to the extensive trail system, Pineland Farms also offers three tennis courts available on a first-come, first-serve basis, an olympic-size bocce ball court, and two disc golf courses (one pro-level and the other more geared toward intermediate competition). In the winter, visitors can enjoy ice skating on the farm pond and kids will absolutely love sledding on the groomed sledding hill. One of the major goals of Pineland Farms is to foster an appreciation for agriculture and our natural surroundings through hands-on education. As part of this goal, they offer classes through their family programs and adult programs such as wild mushroom identification, butter-making and maple-sugaring, to name a few. Pineland Farms is also a great destination for school field trips, accommodating all ages from pre-k to adults. Instead of the standard bowling alley birthday party, why not create a memorable and educational experience with Pineland Farms? Kids will have the opportunity to get up close with farm animals, collect hen eggs and possibly even milk a cow. How fun is that?! But you don’t necessarily have to wait for your birthday for this experience, the educational Farmyard is open to the public year round from 10AM-4PM. Through their VAST program (Veterans Adaptive Sports & Training), Pineland Farms hopes to promote the health and well-being of our disabled veterans through physical activity and camaraderie. VAST offers free, year-round activities to our veterans including rifle shooting, archery targeting, fly tying and much more. The program is funded in part by the United States Department of Veteran Affairs, but if you’d like to help support the program and our veterans, donations are always welcome. With everything you could possibly need for an unforgettable event, from lodging to catering and everything in-between, Pineland Farms is a great choice for your next family or company gathering. With the rural, peaceful setting, it won’t feel like you’re only minutes away from two of Maine’s biggest cities, and their experienced staff knows how to make your event run smoothly. The state-of-the-art Equestrian Center at Pineland Farms boasts indoor and outdoor arenas, housing for athletes and stabling for up to 30 horses. They train, breed and promote Morgan horses, which happen to be the first true American breed of horse. Riding lessons are available and the center hosts livestock shows throughout the year. The facility is also available for events, and offers a banquet hall and conference room in addition to the arenas. Before you leave, make sure to stop at the market! Bring home delicious local food, beverages and gifts. You can also eat in-house at their kitchen & deli. Do you have an experience at Pineland Farms that you’d like to share? Did we forget one of your favorite parts? Tell us in the comments below! We had so much fun looking at vintage Christmas decorations last week that we wanted to dive into the world of vintage Christmas advertisements this week! From an edgy Bates ad from our archive to the helpful advice of a little crying, we hope you enjoy these festive blasts from the past. We love the look and sass of this vintage Bates ad from the 1960s. This was actually one of several ads that featured beautiful women donning bold bedspreads that were popular in the flower power years. 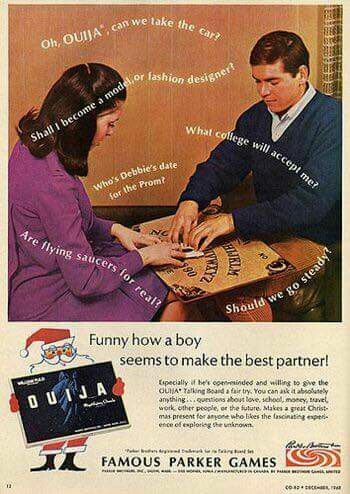 We love this ad featuring the classic board game, Ouija, and the pressing questions of the 1960s. From flying saucers to the everyday concerns of teenagers, it's amazing how some themes hold through the years. 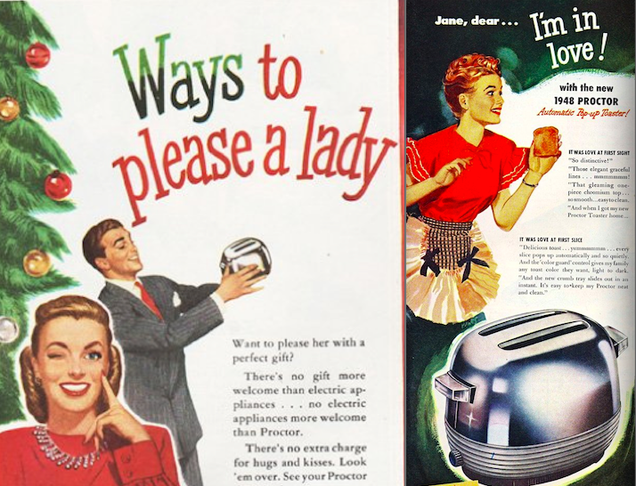 Another vintage ad, another appliance for us ladies. Who knew such a simple appliance could bring us such joy? We do have to admit, that is a good looking toaster, and we do wish our husbands would appreciate all our appliances like that man in the ad appreciates that toaster. Have your own favorite ad from the past? Share in the comments. We love looking to the past for design inspiration - especially around the holidays! In this blog post, we round up five of our favorite vintage holiday decorations, and the best part, we found where you can get them again (new or vintage!). Whether these items bring you back to your childhood or you love the feel of a vintage holiday, we hope you enjoy checking out these festive blasts from the past. The Aluminum Christmas Tree was first introduced in the 1950s (during World War II, all metal was used for the war so even the hanging part of traditional ornaments was made from paper versus metal!). Illuminated by a color wheel, these festive trees were quite popular until 1965 when A Charlie Brown Christmas depicted them as the symbol of the commercialization of Christmas. They've since made a comeback as a fun vintage throwback holiday decoration. Ceramic Christmas Trees became popular in the 1960s and 1970s when ceramics was a popular hobby. During that time, there were lots of local pottery shops across the country where folks would go for classes (like paint night today!) and as molds became bigger and most sophisticated, the Ceramic Christmas Tree became possible. Now, these vintage decorations are some of the most cherished of Grandma's holiday hand me downs. Indented Bauble Ornaments first came to be during the Victorian Times as they were created to reflect the candlelight of the Christmas Tree (hard to fathom actual candles on a tree these days!). They became popular again in the 1950s before less ornate decorations became more on trend. German smokers are actually incense burners and became popular in the 19th century when smoking started to become socially acceptable. They were made by the same toymakers that made their more famous Nutcracker counterparts. For the smokers, the craftsmen made everyday figures like hunters, peddlers with toys (see photo above), chimney sweeps and bakers. Typically, Nutcrackers depicted officials versus folks from everyday life. Today, you can find many smokers that are more traditional Christmas themes like Santas and Snowmen. Finial Tree Toppers were especially popular in the 1960s. These are often simple glass tree toppers with ornate features that replaced more traditional tree toppers like stars and angels. Collectors often like to feature them not on just the top of the tree but as sets on mantles and other surfaces. Have your own favorite vintage Christmas decorations? Be sure to share in the comments! Another year, another holiday sale! This year was one of our busiest and most festive sales that we've ever had, and we can't thank all our wonderful customers enough for making it such a success. It's amazing to think that it's been 5 years since we moved to our new home in Monmouth and that this is already our 6th sale. If you didn't make it this year, we hope these photos will inspire you to make the trip next year for our 7th! Happy holidays. Our mechanical whiz, Dan, surprises us with his costumes each year. This year's "Santa Claws" costume was a team and customer favorite. Diane has decades of experience stitching for Bates, and she loves to get to show customers her craft when they visit for the holiday sale. Customers peruse the many different items we have for sale - from factory samples to factory seconds, this is your only chance to find the many unique items we produce throughout the year at great prices in one place. It's a great opportunity to find something special for everyone on your holiday list. Our store manager, Katie, and technician, Steve, are ready first thing to welcome the crowds bright and early on Saturday morning. Inspectors Sue & Silvia are on hand to help customers take a look at the items they are interested in purchasing. Our free walking tours are a great way to learn about the entire production process from start to finish. The first station is raw materials, and our warp tender, Rene, loves showing visitors how we are able take 2-8 lb cones of yarn and prepare them to weave on our looms. Everyone's favorite part of the tour is the looms! Our lead weaver, Dot, loves getting to show visitors how the looms work. Our mechanical whiz, Dan, is available on the tour to answer any of your tough questions about the machines we run. Our whole team really enjoys getting to meet the customers who love our products so much. In this picture, you see inspectors Sue and Sylvia again and also our shipping manager, Ray, helping package some bedspreads up for eager customers. Mill owners and sisters, Lee & Linda, work together to help a customer find the perfect throws for her holiday list. Did you know that Bates is family-owned and -operated? Learn more about our story here. Inspector Josh can't help but love our seasonal throws! If you're still looking for the perfect gift for everyone on your list, be sure to check out the 2018 Bates Holiday Gift Guide. You (and they!) won't be disappointed. Whether you find yourself entertaining the kids or your husband's grandparents, these fun facts to share at the Thanksgiving table will give you something interesting to talk about with guests of all ages. According to the Guinness Book of World Records, the world's largest turkey weighed in at 86 lbs in London in 1989. With the average turkey at Thanksgiving weighing in at 15 pounds, it's quite hard to imagine just how large this 86 pound bird was! Wild turkeys are fast! According to the Smithsonian, wild turkeys can run up to 25 MPH and fly up to 55 MPH. To put this in perspective, the world's fastest human - Usain Bolt - can run up to 28 MPH. Not bad, turkeys! There is just one state without a turkey population and that is Alaska! Hawaii was also on this no turkey list until the 1960s when domesticated turkeys were released on the island, and the population have since thrived (there is even a hunting season!). Due to overhunting, wild turkeys almost went extinct in the early 20th century in America. Thanks to focused conservation efforts, the turkey population was able to come back and thrive as we can see across the US today (except Alaska!). There are nearly 7 million wild turkeys in America today. When Europeans came to America, they remarked that turkeys looked like African Guinea Fowls which had come to Europe through Turkey (from the Audobon Society). Now we know - the country was not named after America's favorite bird. ﻿Have your own fun facts about turkeys or Thanksgiving? Share in the comments! Fall is a nostalgic time of year for many of us, filled with traditions and celebrations. Crafting is a great way to bring a seasonal touch into your home - after all, you'll be spending more time inside as the weather cools down. Get your creative juices flowing with one of these 5 Fun Fall Fabric Crafts! These acorn pot holders are as functional as they are festive. 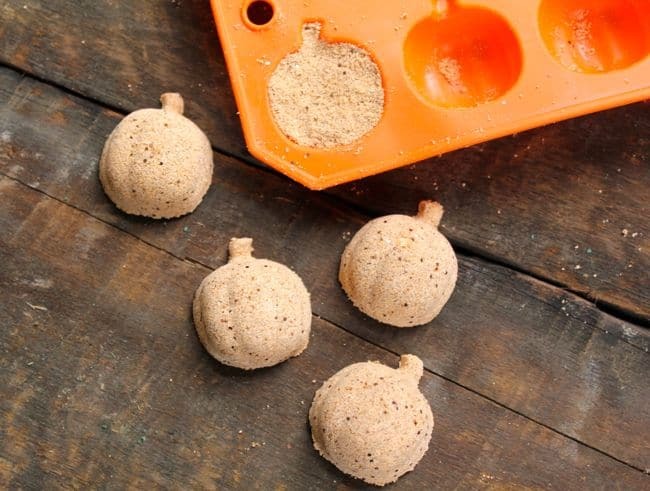 They are sure to add a subtle splash of fall to your kitchen decor. These adorable fabric pumpkins are great because you can personalize the look with your fabric selection. For example, the remnant fabric at our factory store would give your pumpkin a chic, country fall look, or you could go with a classic Halloween print for a fun, spooky vibe. These fabric pumpkins are the same idea as above but geared towards those of us who haven’t quite mastered the art of needle and thread. 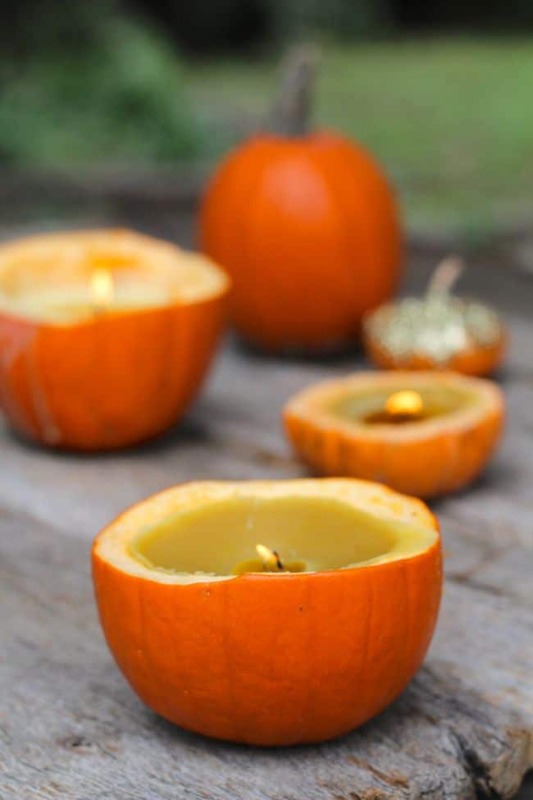 No excuses here, these precious fabric pumpkins can still adorn your home. Okay, maybe these ghost lamps aren't technically a craft, but they were too cute not to include. 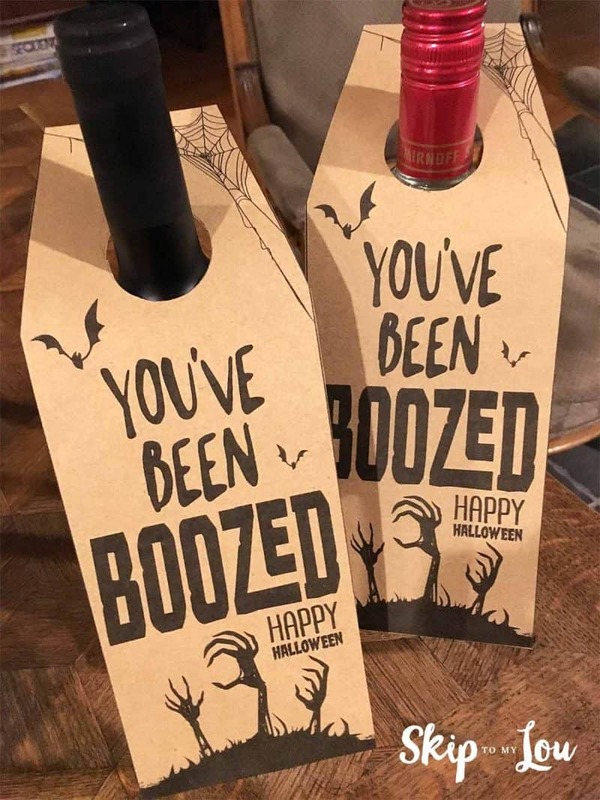 This makes us want to put up light posts for this specific purpose! This craft will provide a festive but classy addition to your seasonal decor - and it’s super easy! The hardest part will be finding a cool old frame to upcycle. Have you tried one of these crafts before and some helpful hints? Do you have a suggestion for another fun fall fabric craft? Share your ideas in the comments below! In Maine, the apple picking season begins in August and runs through late October. For many Mainers, the opening of the apple orchards is a sure sign that Summer is coming to a close. But that’s okay - we’ve compiled a list of apple season activities to keep you distracted from the inevitable onslaught of winter. The number one activity during apple season is (of course!) apple picking. Maine has apple orchards speckled throughout the state, so no matter where you are, there is a pick-your-own option relatively close-by. Check out this map of apple orchards in Maine to find one near you. It’s possible that there is nothing better than a warm apple cider doughnut on a brisk fall day. We hear that the doughnut shack at McDougal Orchards is the place to get fresh cider doughnuts - but if this location isn’t convenient for you, don’t worry - lots of other orchards have farm stands/stores where you can purchase these sweet treats as well. 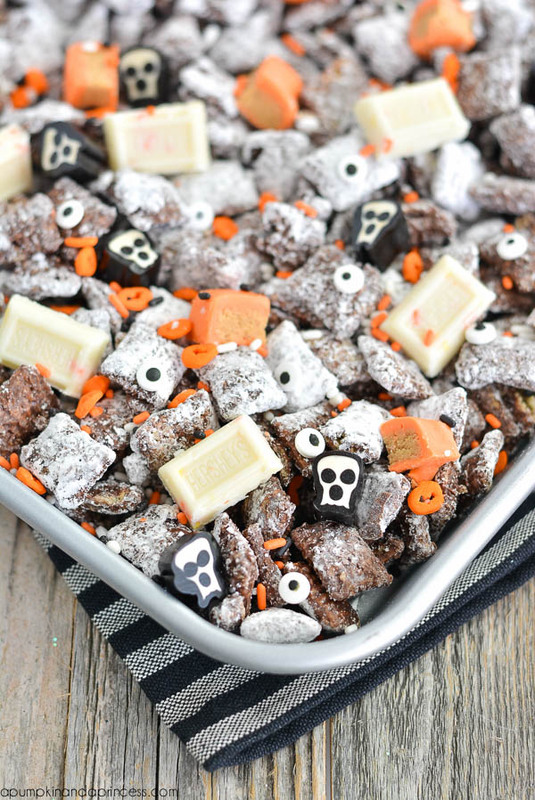 You could even try to make your own with this recipe from Downeast Magazine. Corn mazes are great fun for the whole family and there are several to choose from throughout the state. Most folks are able to finish the maze unscathed, but in case you’re worried about your fate, check out these corn maze survival tips beforehand. Maine has 25 licensed agricultural fairs with a handful operating during the apple season. Agricultural fairs are more than just rides, games and food - they are a great source for fun and education. Check out this list of agricultural fairs in Maine to find one that works for your schedule or trip. That’s right! Apple orchards make a great seasonal backdrop for family photos. You can snap your own shots, or hire a photographer who is willing to travel to your desired location. Treworgy’s Orchard in Levant even has a photographer on hand for mini-sessions, but they do recommend making reservations. Do you have a favorite activity for the apple picking season in Maine? Share it in the comments below! 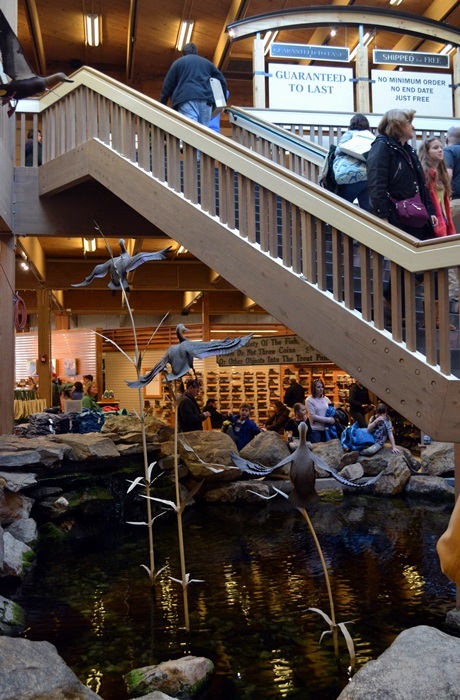 We love welcoming our many visitors that make the trip to Maine during the summer! If you're planning on making the trip up to our small town of Monmouth, we encourage you to add one (or all!) of the following places to you itinerary. The Apple Valley Bakery is just a few minutes from our mill and is a great place to stop for a delicious pastry, donut or cup of coffee. We recommend anything that catch your eye - you'll be pleased with your choice. There are a few tables to enjoy your pick inside. To check their hours (closed Mondays) and to see some photos of their creations, visit the Apple Valley Bakery Facebook Page. One of Monmouth's architectural and cultural icons is Cumston Hall. The building was constructed in 1899 and was added to the National Register of Historic Buildings in 1976. Throughout each summer, a collection of classic Shakespearean plays are performed by local and visiting actors. Tickets are available on the Theater at Monmouth website. If you enjoying hiking or have your pup with you, we encourage you to take a trip up Mount Pisgah. We recommend the shorter Tower Hike (0.7 miles one way) to get to the top where you can climb up the Fire Tower (no longer in use) for incredible panoramic views of the area. For a map and details on how to get to the trailhead, visit the Mount Pisgah Fire Trail website. If you love fishing, you may recognize the name "Jack Traps." Jack Traps is America's premier manufacturer of ice fishing traps and happen to also be located in Monmouth. We encourage you to check out their factory store where all their traps are made and to also get the best local fishing advice if you plan to get some time on the water. For store hours, visit the Jack Traps website. The best way to wrap up a day of visiting is a nice cold locally-brewed beer at the Grateful Grain Brewing Company. Recently opened in 2018, the brewery has become one of Monmouth's most popular places to visit. Be sure to check out the Grateful Grain Brewing Company Facebook page for their operating hours (Friday-Sunday) and to see events they may be having (live music, food trucks, etc). Another wonderful family-owned business whose doors are open for visitors is Chalky & Company. Located just a minute down the road from us, Chalky & Company is a great place to visit if you love crafting and getting creative. For hours and to learn about their newest releases, be sure to visit them on the Chalky & Company Facebook Page before planning your trip. If you love history, you'll love visiting the Monmouth Museum. Located right on Main Street nearby Cumston Hall, the Monmouth Museum houses artifacts from throughout our town's long history. There are 8 buildings that do an amazing job of taking you back in time to learn about life in rural Maine in the 19th century. For hours and events, be sure to visit the Monmouth Museum Facebook Page. Have a recommendation to the list? Be sure to share in the comments below. We were recently invited to participate in the Maine Innovation Expo hosted by Museum LA at our original home, the Bates Mill in Lewiston. The expo was a fantastic event that offered families the opportunity to learn about all the innovative work companies are doing throughout Maine. Our booth focused on teaching visitors about weaving and how innovations in weaving helped build the city of Lewiston through the Bates Manufacturing Company. During the industrial revolution, entrepreneurs sought to harness the power of rivers in order to build their factories. In 1850, Benjamin Bates found that power in the mighty Androscoggin River of Lewiston. Innovations in weaving from mechanized looms to specialized types of weaving (like the Bates patented "terry weave") helped build Bates into one of the textile industry's most recognizable names. To keep things fun for the children visiting our booth, we brought in lots of colorful yarn. While we no longer dye our own yarn, Bates used to not only just dye the yarn, but actually make the yarn from raw cotton. Today, we rely on a network of partners for these more specialized parts of yarn production. Be sure to check out photos from the expo below, and if you were able to attend, be sure to share what you learned in the comments. Thanks again to Museum LA for inviting us to attend and share our craft with the community. Store Manager, Katie, at our booth at the Maine Innovation Expo. Left: Colorful yarn. Right: Bates Designer, Adrienne, show attendees how the table loom works. The view from our booth at the expo early in the day. It was amazing to get to be back in the old mill, and if I'm sure the walls could talk - they would be pleased to see a loom again. Before any of our products can be manufactured and sold, they have to be designed and sampled. This process is incredibly labor intensive, but it's also exciting and rewarding. Our mill currently has looms set up for 3 different types of weaves: matelassé weaves, terry weaves, and general blanket weaves (also called dobby weaves). How we go about the design process ultimately depends on which weave we're working with, and what our end product is going to be. For both terry and matelassé styles, a design is first created on the computer and then test woven on one of our large jacquard looms. Terry and matelassé are "compound weaves," meaning that they have a complex structure. Because of their complexity, we jump straight from conceptualizing on the computer to sampling on the production loom. To read a little more about these weaves, check out our FAQ section here. In contrast, our blanket styles are made of simple weaves that can easily be replicated on a small hand loom. This is where the fun really starts! When creating a new blanket, we weave small sample pieces by hand on table looms before sending final patterns to our production looms downstairs. This way we can work out any problems on a small scale, and make decisions about texture and color without wasting extra time and materials. Any handweaver will tell you that preparing a loom for weaving takes a lot of planning. Although each person has their own methods and tricks, the main process remains the same. Here we have a basic overview of the process, illustrated with a fun rainbow warp! First, all the warp threads for the project are measured and counted out on a warping board. Once the warp has been created, it needs to be wound onto the back beam of the loom. This can be a little tricky-- the key thing to pay attention to is an even tension across all threads. Weavers have developed a lot of different techniques to make this process easier, especially when working by yourself. After the warp is securely wound onto the back beam, each thread is brought through a metal or string eyelet called a heddle. The heddles sit within metal frames called harnesses, which rise (or lower) during weaving. These elements work in combination to determine the pattern in the finished cloth. The reed is a long metal strip with small, vertical slats that is attached to the loom's beater. If you've ever seen people weaving, the beater is what is used to pound weft threads into the woven cloth. After each warp thread is brought through a heddle, it is drawn through a corresponding slat in the reed. To be able to weave smoothly, the warp must be held under a tight and even tension. Collections of threads passed through the reed are tied onto the front of the loom to create this tension. Finally, the part we've all been waiting for! It takes a long time and a lot of patience to set up a loom, but the results are well worth it. The possibilities are endless! We hope you enjoyed this brief overview! If we haven't scared you off and you're interested in learning to weave, there are some ways that you can get started without a lot of fancy equipment (or frustration). Frame looms are easy to build yourself and are excellent to learn on. We love this tutorial by The Weaving Loom, "Create Your Own Frame Loom: No Tools Necessary!!" Mother's Day is just around the corner (Sunday, May 13th)! Whether your Mom loves a classic design that reminds her of her childhood or a more modern design that fits in with her on trend home, one of the Made in USA throws below will certainly make her smile this Mother's Day. We receive so many emails from customers that love sharing their memories of the Bates bedspreads that their grandparents had when they were young. The Martha Washington's Choice Throw is a great gift idea for mothers who love to remember the "good ol' days." If your mom leans more towards modern design, she may be far more into a simple pattern like the Cathedral Throw. Featuring a chevron weave, this beautiful throw will be perfect for cuddling on the couch or as an accent on the end of the bed. For the mothers that are always cold, our thickest throw may be the best option. The George Washington's Choice Throw features a heavyweight cable weave and comes in 6 colors so not only will she appreciate the extra layer, but you'll also be able to find her favorite color. The Hampton Roads Throw is our most popular gift item. This throw is favored for it's simple yet elegant design that is quite versatile for any style of home. If your mom especially appreciates tradition and craft, the Hampton Roads Throw will surely be a throw she will proudly display in her home. Don't we all wish we could whisk our mothers away on a sunny beach vacation every Mother's Day? While a beach vacation may be just out of reach, the Cape Cod Throw is a great option for moms who love the sea. Featuring a beautiful lattice pattern with seashells, she'll love how this throw reminds her of some of her favorite things - the coast and you! ﻿Still can't decide? Let her pick with a Bates Mill Store gift card. It's that time of the year when the temperatures start to warm, and we're looking for ways to stay cool and comfortable through the night. While winter loves wool, everyone knows spring and summer love the breathable freshness of cotton. Below, find 4 great cotton bedding options to prep your bed for the warm season. The first place we start is your base layer. Cotton sheets are an ideal choice for the warm months as they keep you covered but allow your body to breath comfortably. There are many cotton options available so it's important to choose a sheet set that is good for the warm season (versus cotton flannel which is more ideal for the cooler winter months). We recommend our own Made in USA Cotton Sheets in Antique (Natural) or if you prefer a pop of color, consider exploring Authenticy 50's Signature Made in USA Sheets in 3 colors. Depending on where you are located, temperatures can vary widely throughout the day and night. For this reason, sometimes it's good to have options for layering in the warm months and cotton blankets are a great choice to have on hand (for especially warm nights, a cotton blanket alone you may find most comfortable!). For those preferring a lightweight option, consider our Cable Weave Blanket. For those looking for a little extra heft (and more color options! 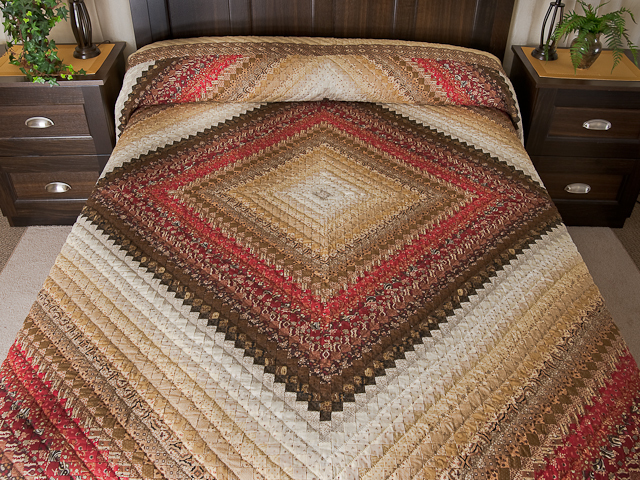 ), check out our most popular blanket, the George Washington's Choice Blanket. For the top of bed, we love the wide variety of options for cotton coverlets (if you're more into comforters, please check out the duvet covers below!). Cotton coverlets are breathable plus easy to care for so you can easily keep them fresh all season just by washing them in your home washer and dryer. Our picks for this season? For the modern home, we like the Diamond Matelasse Coverlet. For the more traditional home, we recommend the classic Martha Washington's Choice Coverlet. For those who prefer a little more fluff to their top of bed option, cotton duvet covers are a great way to freshen up your bed for spring and summer. While a flannel duvet is a great pick for winter, we recommend cotton duvet covers for the warm season! Coming in a wide variety of colors and prints, duvet covers can be a great way to not only be comfortably but also to add a pop of personality to your bedding. We recommend checking out the bright, cheery options of Lime & Leaf's Made in USA Duvet Covers. ﻿How do you prep your bed for the warm season? Share in the comments below! Spring is officially upon us and we are very excited for the weather to start warming up and for the buds to begin blooming. After a long winter stuck inside, there are plenty of projects to get done around the house. The good news? The sooner you tackle these tasks, the sooner you will be able to kick back and start enjoying the warm weather. Winter can be rough on the exterior of our homes - especially if you live in an area with snow. Look for things like missing roof shingles, cracks that need to be caulked, worn out weather stripping, or damaged siding, gutters, and screens. Make a list of things you can repair yourself and the ones you need to hire out for - and prioritize (get an easy check list here: how to prioritize your inspecting your home's exterior). Decks, walkways, patios and even vinyl siding can benefit from a quick power-wash after a long, wet winter. Clearing the dirt and grime away from these surfaces is like giving your house a face lift! You can rent power washers, but they can also be fairly inexpensive to buy so you can have it on hand for other tasks like washing your car! If you're considering buying, check out this list of 2018's best power washers to find one that would fit your needs best. Winter storms and wind can leave your yard cluttered with leaves and branches even if you did a good job cleaning up in the fall. After you pick up all the branches you can probably mulch the leaves into the grass with your lawn mower. Don’t forget to clear leaves away from the foundation of your home and existing flower beds. Many of us change out our bed linens with the seasons. Making sure you take the proper steps to clean and store your seasonal linens will mean they are fresh and ready to use once the cold weather (inevitably) rolls back around. Spring is the time to plan and prep your vegetable gardens. Prep the soil with fertilizer and tilling, order your seeds and maybe even create a map of your garden layout. If you do not have space for a garden at your home, consider purchasing a plot from a community garden, like the Monmouth Community Garden located at our facility. Do you have any tips for prepping your home for Spring? Let us know in the comments below. We get lots of questions from customers about the difference between our woven coverlets and traditional quilts. In this blog post, we're going to explore the differences between these two popular bedding options and help you find just the quilt or coverlet you're seeking for your home. A quilt is a textile that is actually made up of pieces of cloth stitch together in two layers with batting in between. A quilt is often reversible and is used as both a top of bed option or as a readily available extra layer lying decoratively at the end of a bed. Woven coverlets are made from a single piece of material woven on a loom. Rather than stitching pieces and layers together like one would do to create a quilt, a coverlet is simply cut and hemmed to size after the fabric for the coverlet has been woven. Coverlets tend to only be a top of bed option and may be paired with a blanket underneath the coverlet for extra warmth. Quilts can come in a variety of patterns and colors, but are often considered to have a more traditional aesthetic than coverlets. They are often hand-stitched and due to their pieced together construction, they require much more delicate care than a strongly woven coverlet. Coverlets have a little more versatililty in terms of design due to the flexibility of the patterns in the weave. In addition, woven coverlets are often machine washable making them a great choice for folks who prefer to have an easy to care for bedding option. If you find you prefer the complex beauty of a quilt, we recommend you check out the variety of options from Amish Country Lanes. You'll find a vast array of options and can also even commission a unique quilt custom made for you. For woven coverlets, we recommend checking out our array of woven coverlets. The Diamond Matelasse Coverlet features a beautiful geometric perfect for the modern home. For a more traditional home, we recommend the Martha Washington's Choice Coverlet in our terry weave and finished on three sides with a classic pom pom fringe. Still can't decide? You may consider the fact that our most popular woven coverlets are actually made with a matelasse weave that was actually invented to replicate the puffy texture of a quilt. It's the best of both worlds! When decorating a bedroom, it’s important to keep the purpose of the space in mind - it’s a place to sleep. It’s also important, however, to decorate the room in a way that reflects your personal style. Express yourself with colors and textures. After all, you spend roughly a third of your life sleeping in your bedroom! Your bedroom is YOUR space. Don’t be afraid to incorporate your favorite color and textures. You love red? Great! It’s a bold color, but it can still be added as an accent wall or with accessories. Love ruffles? Splendid! Feature an intricate bedskirt or ruffled throw pillow (maybe both). A tasteful wallpaper that is strategically placed, can do wonders for a bedroom. It adds color and texture in a way that paint simply cannot. When choosing a wallpaper, always keep your overall plan in mind to make sure it’s cohesive with the rest of the room. Another great way to bring a splash of color and texture to your bedroom is with an area rug. You can be more subtle with a solid colored rug that has lots of texture, or you can go bold with a fun a pattern. Throw pillows, lamps and curtains are just some of the mainstay accessories in a bedroom that can be carefully and purposefully chosen during the design process. The key is to find accessories that balance out the space and play off one-another in both texture and color. For example, if you have a shaggy pillow, but there is no other shag in the room, make sure that it’s color coincides with and compliments the rest of the room. Our bedspreads, blankets and accessories are beautifully woven in Maine and offer several unique textures and six classic colors. From traditional to modern, we’ve got a pattern, texture or color that is perfect for your space. Have some ideas on how to pair color and texture in the bedroom? Feel free to share in the comments below! With just days to go until Christmas, we thought it'd be fun to learn more about where some of our favorite traditions come from. From the stockings on the fireplace to the decorating of a tree, each of these cherished traditions have a beautiful origin story that we hope you'll share with your own family this holiday season. 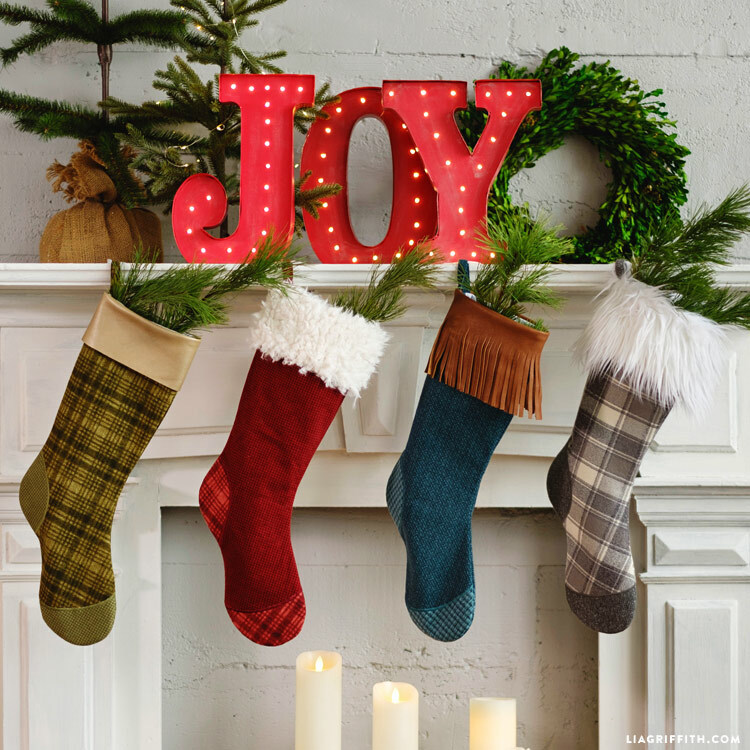 Today, many of us have a colorful stocking that only comes out around this time of year and only serves the purpose of collecting small toys and treats. But like all our traditions on this list, Christmas Stockings have a much more humble beginning. The story goes that a recently widowed man was worried about the marriage prospects of his three daughters. He was concerned because they didn't have much as a family, and he was worried that that would deter would-be suiters. On Christmas night, St. Nicholas had heard from the local townspeople the sad story of the family who had recently lost a wife/mother, and he decided he wanted to help. Later that evening, he snuck into the home through the chimney and found the recently washed stockings of the young girls drying over the fireplace. In the stockings, he put 3 gold coins. In the morning, the family woke to this wonderful surprise and the man's concern faded as he realized there would be a future for his three daughters thanks to the generous St. Nicholas. From this point on, it was a tradition to hang stockings in the home so that there was a place for St. Nicholas to put his gifts. The Christmas Tree tradition dates back to our pagan ancestors. Many ancient groups believed that the sun was a god and in the weeks preceding the winter solstice, they would worry that the sun was sick because of the shortening days. After the winter solstice, the days would get longer and many believed that because of the longer days, it meant that the sun was feeling better. To help the sun get through this tough time, people across many cultures would collect the boughs of a tree that could last through all seasons, the evergreen. The collection of these boughs becoming today's Christmas tree took place in 16th century Germany when Christians would combine the collection of the evergreen boughs with the celebration of Christmas in the form of a decorated tree. It is believed that Martin Luther was the first to add candles to his boughs when he was walking home one evening and remarked on the beauty of the stars in the night sky. German immigrants began bringing the Christmas tree to America in the 18th century, but it was not until late into the 19th century that the tradition caught on. It is believed that the tradition of leaving cookies out for Santa is actually rooted in ancient Norse mythology. Children would leave out treats to encourage the supreme god, Odin, and his horse to stop by their home to leave them gifts during the Christmas season. In fact, in many Nordic countries; children still believe Santa Clause rides on a horse versus a sleigh. In the US, it is believed that this tradition was popularized during the Great Depression as a way to teach their children to be generous and to learn to be appreciative of the gifts they received from Santa. We love the idea of sharing this valuable life lesson with our children in both times of hardship and prosperity! What are your favorite holiday traditions? Do you know their history? Share in the comments!